Free, Paid, or Open-source VoIP for NGOs? You are here: Home › Tech News › Free, Paid, or Open-source VoIP for NGOs? According to a 2007 research by the Guardian Project, typical end users, human rights organizations, activists, and journalists prefer peer-to-peer VoIP solutions like Skype and Google Talk, Skype being the most popular. This is no surprise, as these options are free, easy to set up, convenient to use, and don’t tie up users to contracts. 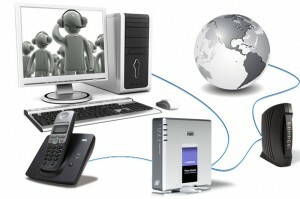 Users simply need to download the software to their PCs or mobiles to get access to free VoIP calling. However, this free solution does not offer the same complexity that a complete VoIP PBX can. More importantly, many NGOs who are facing remote or foreign threats cannot expect these solutions to provide them with secure communications. First off, Skype does not let users easily switch between multiple accounts; users have to have one identity, making them vulnerable to social engineering type attacks. According to advocacy group Privacy International, as reported in Guardian News, free internet phone service Skype also exposes users to impersonation, interception, and surveillance. Impersonating someone in Skype can be easily done, since Skype uses names instead of unique IDs. Downloads are also not made through a secure connection. The Guardian News reports that there have been instances in China where other sites masqueraded like the main site. Lastly, despite AES encryption, phrases in Skype voice chat can still be identified with 50- to 90-percent accuracy. To exacerbate the problem, The Guardian Project found out that groups who use Skype often do not feel that their privacy is at risk and are quite lax in their practices when the software is utilized in the home country. Thus, free VoIP poses a great risk to the privacy and security of an NGO. Hosted VoIP solutions like RingCentral and Cisco offer the flexibility and scalability of a complete VoIP PBX system. When problems arise, users can also depend on 24/7 customer support. Telephony features are delivered as software-as-a-service, and users only need to pay for what they use and typically without the pressures of a long-term contract. These features are also scalable; users can easily add features as their organization grows. The Guardian Project notes that these commercial products are more compliant with security standards but are just as easy to use. The downside is that these systems cannot promise sustainability. The technology can provide for immediate needs, but users cannot own it and may be limited in adapting it to suit their specific needs. Open-source solutions like Asterisk are one of the best alternatives, since it can adapt to fit any organization’s requirements. They allow phones to connect to the global telephone network and they can run on several platforms, the best of which would be GNU/Linux. This type of VoIP also provides bandwidth savings, since it uses the IAX2 trunking protocol. Unlike SIP, which is used by most vendors, IAX2 allows you to send multiple calls in a single set of IP packets. Asterisk users can also customize their Asterisk PBX to ensure security. The challenge in using Asterisk is that users would need to have special knowledge in the Asterisk language to build their own PBX. Users also won’t have access to technical support apart from the Asterisk community forums, unless they subscribe to professional support from Digium, which is not free. There is still no telephony developed to respond perfectly to the needs of flexibility, sustainability, convenience, and affordability. Each of the solutions has its own advantages and disadvantages. But for NGOs that put high importance in privacy, the best alternatives seem to be commercial and open-source VoIP. Next Entry: The New LG Optimus Vu Phablet: Pass or Buy? Next Entry The New LG Optimus Vu Phablet: Pass or Buy?